Welcome to St. Cadoc’s Church! 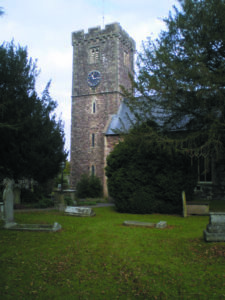 Worship has been offered on the site of St. Cadoc’s Church for centuries, with the first church pre dating the 12th century. Today, St. Cadoc’s is known for its choral tradition, possessing an extensive library of choral music from Tallis and Mozart to Mathias. With an affiliated (SATB) RSCM four part church choir to lead worship at the Eucharist and Evensong, music is central to its worship. It is therefore, a joy to welcome visitors to the 2018 Festival Songs of Praise as we join our voices to sing the praises of God. With the doors of the church open daily, you will receive a warm welcome whether you are a regular worshipper or a visitor.